Jan. 16: Is O'Reilly recruiting other FOX shows to go after NBC? MSNBC's Joe Scarborough asks Bob Kohn, author of "Journalistic Fraud" and Media Analyst Steve Adubato. PASADENA, Calif. - Bill O’Reilly’s criticism of NBC News as a liberal-leaning network is “really kind of sad and pathetic,” the network’s news president said. Steve Capus attributed the Fox News Channel host’s criticism of the network to O’Reilly’s ongoing feud with MSNBC’s Keith Olbermann. 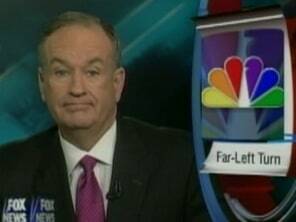 O’Reilly has said NBC News, as an organization, has gone sharply to the left. He cited the network’s decision last fall to begin referring to the sectarian violence in Iraq as a civil war, a phrase the Bush administration has resisted. He made his displeasure clear in a recent interview with NBC’s Andrea Mitchell, then later talked to a body language consultant who said Mitchell looked uncomfortable. Zucker is chief executive of NBC Universal’s television group. O’Reilly has long been the ratings leader in cable news. But Olbermann, who has stepped up commentary criticizing President Bush in the last five months, has seen some ratings growth opposite O’Reilly. As O’Reilly has been criticizing NBC, prime-time host Joe Scarborough of MSNBC has criticized him, making O’Reilly a frequent topic on the MSNBC program.